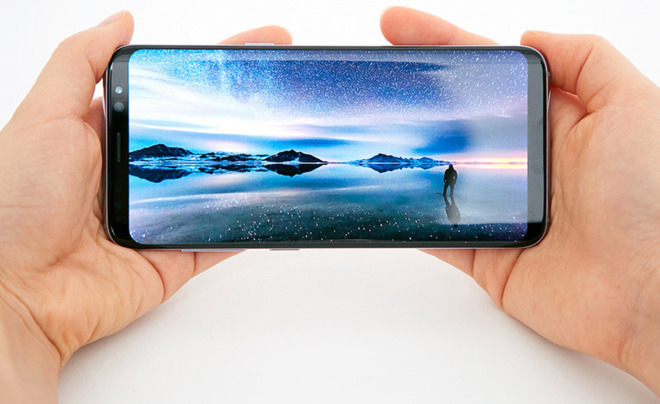 Samsung on Wednesday confirmed a multitude of rumors by announcing its new flagship smartphone, the Galaxy S8 —a device with an OLED "Infinity" display and no physical home button, much like Apple's rumored "iPhone 8." Two models will be available, the S8 and the S8 Plus, Samsung said at a press event in New York City. The first has a 5.8-inch, 2960-by-1440-pixel screen, while the Plus increases screen size to 6.2 inches. 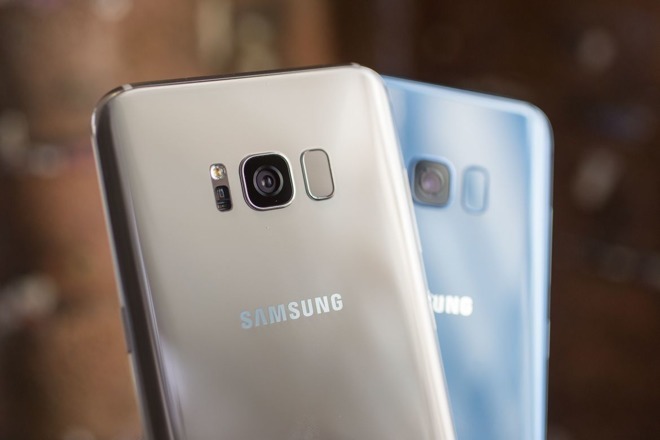 The two also differ in their battery capacity, with the regular S8 using a 3,000 milliamp-hour supply and the Plus a beefier 3,500. Both phones will have 12-megapixel rear cameras with optical image stabilization and an f/1.7 aperture, for better low-light shooting. Their front-facing cameras are rated at 8 megapixels, losing stabilization, but retaining the same aperture. The S8 line will run Android Nougat, and include USB-C and 3.5-millimeter ports, in addition to supporting wireless charging and Bluetooth 5.0 —the latter enabling streaming to two devices simultaneously. Security includes fingerprint, iris, and face recognition. Another centerpiece is Bixby, Samsung new AI assistant. The technology can be triggered through a dedicated physical button, and offers contextual awareness along with more direct control of apps and hardware. Via a camera app, it even offers limited augmented reality functions, suggesting Web results based on identified objects. Samsung is currently partnering with companies like Amazon and Pinterest, but not Google. Preorders will start March 30 with a U.S. ship date on Apr. 21, Samsung said. Pricing will be set by carriers, but should typically start at $750 for the regular S8 and $850 for the Plus. Color options will include black, gray, and silver in the U.S., and gold and blue in some other markets. Another international difference is that while most countries will get a Samsung Exynos octa-core processor, U.S. buyers will get a Qualcomm Snapdragon 835, also octa-core. 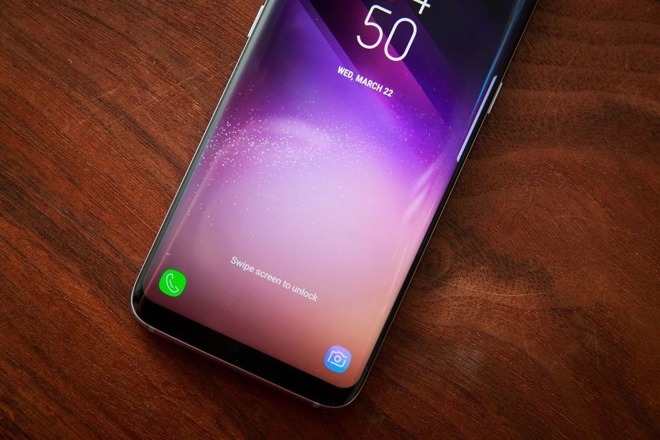 In addition to ditching a physical home button, the S8 also appears to be preempting the "iPhone 8" through its facial scanning and augmented reality support. Samsung may have plenty to prove with the new phone, its first flagship since the fire-prone Galaxy Note 7. The company is working to rebuild its reputation, and will likely come under extra scrutiny for any safety incidents.